Nura Alispahic, now 73, lost her whole family in the Srebrenica genocide and the 1995 bombing of Tuzla – which was marked on Thursday. Now she waits to die, finding ‘life harder than death’. The life of Nura Alispahic, a mother from Srebrenica, runs between the two graves of her sons, one of which is in the Alley of Youth in Tuzla and the other one in the Potocari Memorial Center in Srebrenica. Alispahic lost her entire family during the 1992-5 war in Bosnia. Her husband, Alija, was killed in Srebrenica in 1993 and both her sons were killed two years later. A grenade killed her son, Admir, in a massacre at Kapija in Tuzla on May 25, 1995. He was then 24. 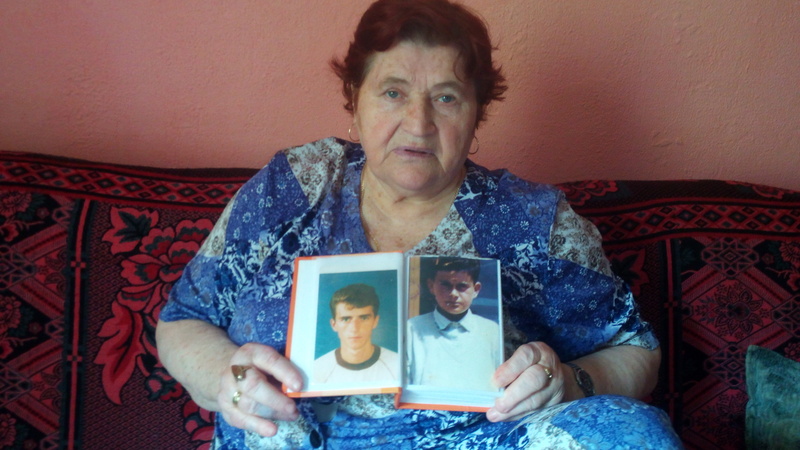 Her younger son, 15-year old Azmir, was killed by members of the Serb “Scorpios” Unit on July 17 as part of the Srebrenica genocide, when the Bosnian Serb army under Ratko Mladic slaughtered about 8,000 Bosniaks after overrunning the eastern Bosnian town. The anniversary of the killing of 71 people in Tuzla will be marked on Thursday, May 25. They were killed by a grenade fired at the Alley of Youth in Tuzla from Bosnian Serb positions. Alispahic, now 73, who returned to Srebrenica ten years ago, says the only thing harder than death is life. “There is no one to visit me anymore. Life means nothing to me … It meant something while I still had children and husband. All of them were killed. Now I live my life alone and am sick,” she says. Alispahic also lost her brother, 12 of her nephews and five brothers-in-law in the Srebrenica genocide. In her interview with BIRN she recalls hearing of the massacre at Kapija in Tuzla when she was in Srebrenica. “We listened to the news on our small radio and heard about a massacre in Tuzla. When they read the names of the killed, I heard them mention my son Admir’s name. My house was full of neighbours. I said: ‘They have mentioned Admir’s name’, but my neighbours told me I had misheard it,” Alispahic recalled. Neighbours and relatives kept visiting her house for two full days. “I did not know why they did it. When I asked my sister if Admir had been killed, she began crying and said, yes. Then I lost conscience. When a doctor awoke me, I grabbed a knife to kill myself. My neighbours stopped me,” she says. Alispahic says her grief for her son was even worse because she was unable to say a final farewell to him. Because the town of Srebrenica was surrounded and besieged by the Bosnian Serbs, she was unable to attend his funeral in Tuzla. “It was only after the fall of Srebrenica in July  that I reached Tuzla. Those who had relatives were met by them. I had no family members to meet me,” she says. “A friend of Admir’s was waiting for me. He and a few of Admir’s former comrades from the police drove me to Slana Banja. That was the first time I had seen my son’s grave. No words can describe the feeling,” she recalls. A few months after Admir’s murder Alispahic lost her younger son, Azmir, to members of the “Scorpios” on July 17, 1995. A recording of his murder broadcast was seen all over the world. His mother watched it on TV as well. Azmir had gone to the woods together with some soldiers just before the fall of Srebrenica, Alispahic said. She was by then in Tuzla. “I watched the news every day, hoping to hear something about my second son. One evening they broadcast a recording, depicting members of the ‘Scorpios’ taking a few young men with them. I recognised my Azmir among them. I began crying when they beat them, but when they began shooting at those young men and my son, I fainted,” she said through tears. Alispahic lost her daughter after the war, She believes her daughter died of sorrow for her lost loved ones. Alispahic does not believe in justice. As she says, she returned to Srebrenica only to die there. “I feel like a cut tree. I am neither alive nor dead … There is no justice and there will never be,” she said. Novak Djukic is the only person who has been sentenced for the murder of her son, Admir, and 70 other victims, and for injuring more than 150 persons at Kapija in Tuzla. The Court of Bosnia and Herzegovina sentenced Djukic to 20 years in prison but he is now at liberty, having fled to Serbia in 2014. The Serbian Supreme Court in Belgrade pronounced a verdict in 2008against members of the “Scorpios” formation for committing the murder of Nura’s younger son, Azmir, and five other Bosniak victims from Trnovo. The unit commander, Slobodan Medic, was sentenced to 15 years’ jail, while Branislav Medic got 20 years and Pero Petrasevic, who admitted guilt, was sentenced to 13 years in prison.